Here are some other ways I can support you FOR FREE!! Click the image below to explore. Ranked one of the top Spiritual podcasts and now into Season Three, The Jen Mavros Show gleams a 5 Star Rating and features the most revealing, honest and soulfully supportive material to grace the inter-webs today. During these life-changing conversational master classes, you'll receive insight, tools and support to help you elevate and live your most soulful, AWESOME life. 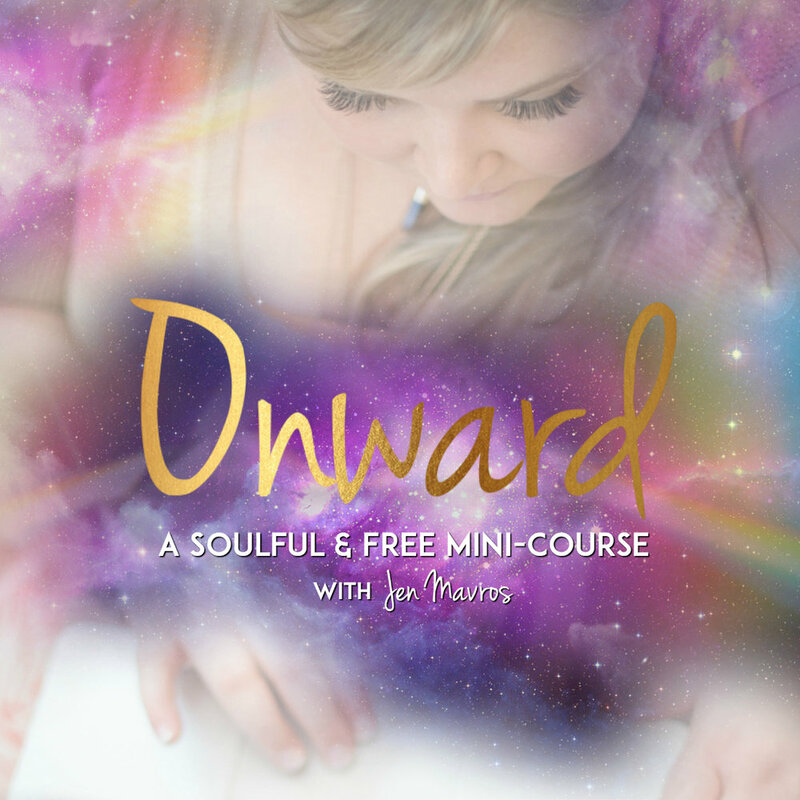 Onward is a Soulful & FREE Mini-Course with Jen Mavros to help you radically up-level your life and business using Divine Manifestation. 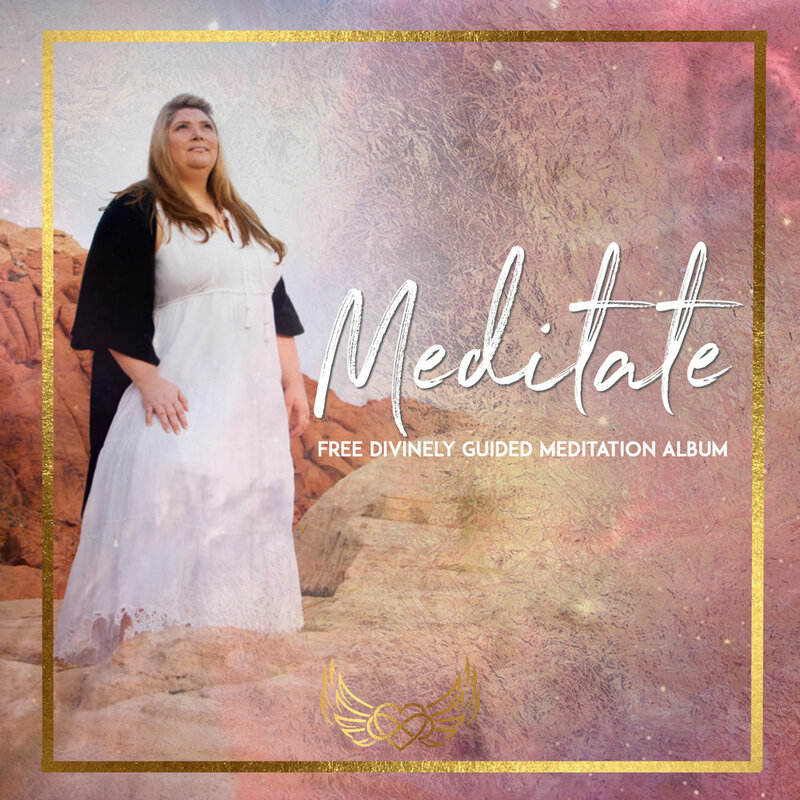 In this high vibe (and free) album, you’ll receive four gorgeous, full-length divinely guided meditations to open your heart center, soothe your mind and soulfully align you with the energy of love, gratitude and intention.